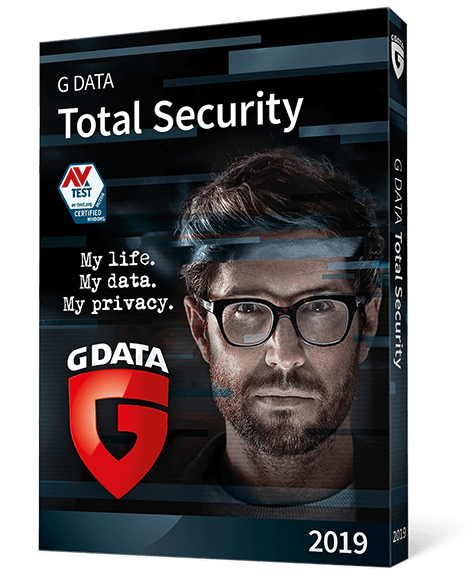 G DATA Total Security is made for those who want everything: Best protection on the Internet combined with maximum comfort. More G DATA is not possible. Photos, videos, documents: Back up your data automatically and save the copies on your PC or in the cloud. Now nothing can go wrong. Password123? Better not. Our password manager remembers all your passwords for you and creates new ones on demand that can't be cracked. No opportunity for extortion Trojans: our Anti-Ransomware technology detects extortion Trojans before they can take your data hostage. We protect you against criminals trying to encrypt your photos, documents and personal data. This function memorises your passwords for online shops, forums, your email account and much more. Simply integrate our Password Manager into your browser. Passwords and contact data are filled in automatically if required. Automatically back up your data locally on your PC or in the Cloud. With password-protected backups, your data always stays protected. Use Google Drive or Dropbox for your data backup. Protect confidential information and files with a password. Then they can only be accessed by people you genuinely trust. Also encrypt external storage media such as USB sticks in this way. Encrypt them by simply using your secure password – without having to install software first. Make your banking transactions and online shopping secure – with our patented BankGuard technology. This function ensures that your browser only displays genuine content. Specify who is allowed to use USB sticks, burners, hard drives and other devices on your PC. With Access Control, you can manage the use of all your USB slots. 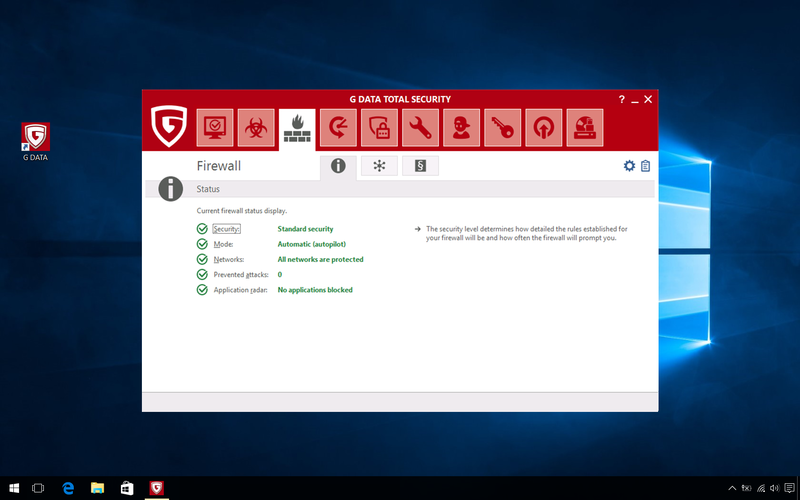 This will stop malware getting onto your computer via external storage media. Tidy up properly – with our Browser Cleaner you can remove unwanted toolbars and add-ons from Internet Explorer, Firefox and Chrome. Delete outdated cache entries and other ballast. Improve the performance of your PC with a few clicks. It has never been so easy to pay bills or make purchases. 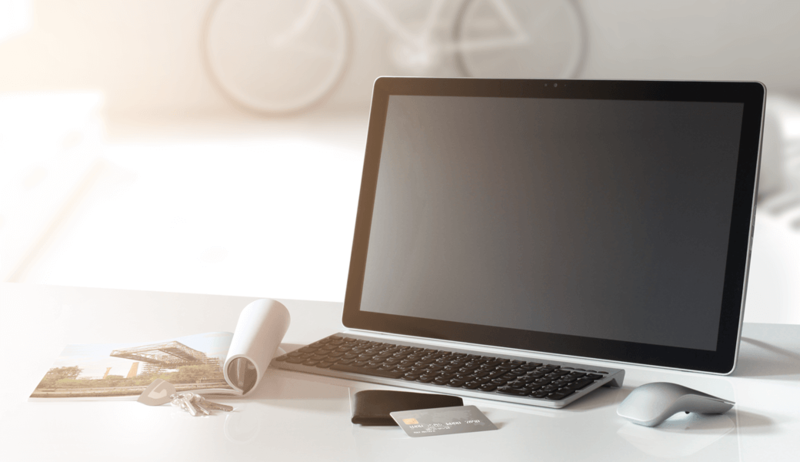 Your security solution can be as easy as online shopping. Opt for fast software installation and ease of use. With G DATA Total Security, you get our best protection for online banking, emails and critical data. 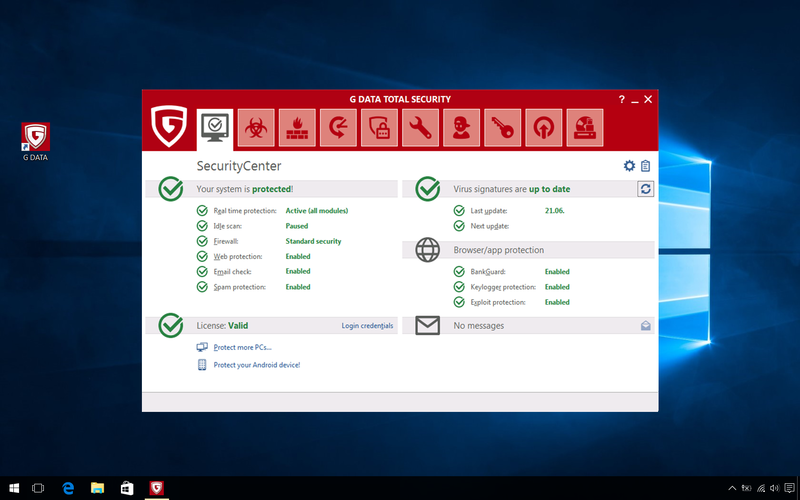 A powerful virus scanner and numerous extras protect you against hacking, extortion and cyber attacks – without disrupting your work or leisure. Cyber extortionists have been making the headlines in recent months. Encryption software with names such as Locky and Petya have been giving numerous PC users a scare. They play on the fear that your photos, videos and memories will disappear forever. The malware encrypts the data on your computer and threatens to only unencrypt it once you pay a ransom. Put a stop to extortion on your PC. With G DATA Total Security, you get ransomware protection that stops extortion Trojans in their tracks. The Generation 2019 software is built for convenience. We have enhanced our complete package with G DATA Password Manager. Simply add it to your browser as a plug-in. From then on, you only need the key to your password safe. The new function memorises all access data for online shops, forums and your email account for you. This means you can work with cryptic and hence extremely secure passwords without needing to memorise them. 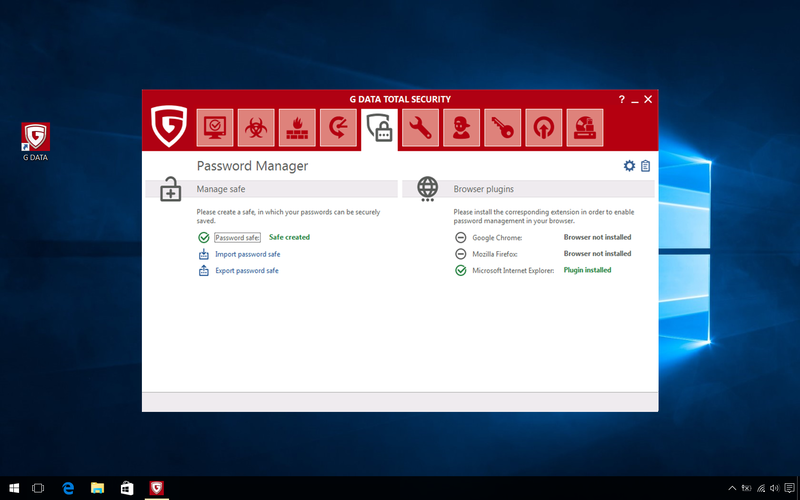 With just one click, Password Manager fills in passwords and contact data for you and saves you valuable time. Photos of your children, holiday videos and digital souvenirs are secure – with automated backups. Protect yourself against data loss – simply and effectively. 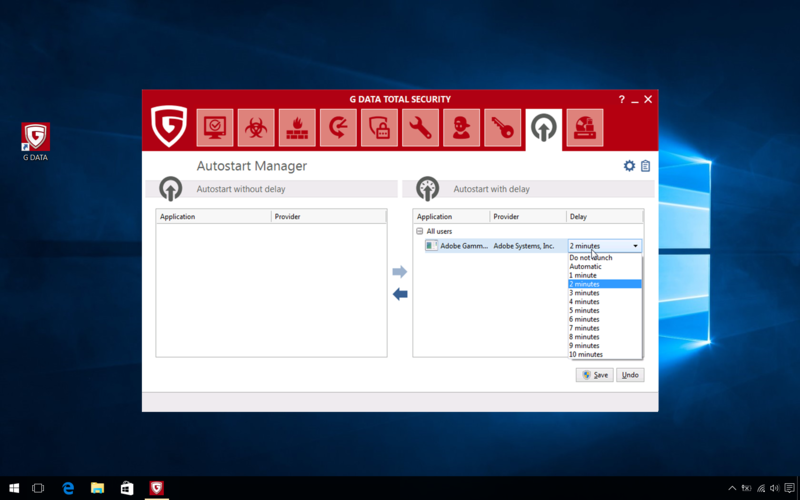 G DATA Total Security stores your data with password protection – locally on your PC or uploaded to a secure Cloud. Use Google Drive or Dropbox. All with no additional installation. Safeguard what is close to your heart. Photos and documents are also kept safe in the event of an extortion or hacker attack – and they stay protected in a secure location.